The European Union has ratified the global treaty establishing copyright exceptions for visually impaired people today at the World Intellectual Property Organization, bringing the total rapidly growing membership to 70 and increasing the number of available books. Accessing the treaty is just part of the work, according to a global librarian association, as implementation of the treaty is key to accessibility for visually impaired people. The group published its 2018 monitoring report of the treaty implementation. The accession to the Marrakesh Treaty to Facilitate Access to Published Works for Persons Who Are Blind, Visually Impaired or Otherwise Print Disabled by the EU took place during the WIPO General Assembly being held from 24 September to 2 October. It brings the Marrakesh membership from 42 to 70. WIPO Director General Francis Gurry mentioned at the beginning of the General Assemblies that the Marrakesh Treaty was the fastest moving of the WIPO treaties. In a WIPO press release today, he urged more countries to join the treaty. Some countries, such as the United States and Japan, said during the Assembly that they are preparing to join the treaty. The EU will effectively become a party to the treaty as of 1 January 2019, the release said. The Marrakesh Treaty “is the first international treaty in the field of copyright that the EU becomes part of on the basis of its exclusive external competence, it said. On 28 September, the Marrakesh Treaty Assembly took note of the status of the Marrakesh Treaty [pdf], and the report of the Accessible Book Consortium (ABC), a public-private partnership facilitating access to special format book for visually impaired people. According to the ABC report [pdf], the joining of the EU will bring the number of titles to be available for cross-border exchange in the ABC Global Book Service to over 270,000 titles. Those titles are available without the need to obtain authorisation from the copyright owners, the report said. Separately, the International Federation of Library Associations and Institutions (IFLA) published the 2018 edition of its monitoring report [pdf] of the implementation of the Marrakesh Treaty. The monitoring report looks at whether each country is already a member to the treaty of discussing its accession, at remuneration, commercial availability, registration obligation, additional record-keeping requirements, whether people with dyslexia are included, and whether people with other disabilities are included. Performing the best are the Czech Republic, Ireland, Sweden, the Netherlands, and the United Kingdom, which succeeded in having a good review on all indicators. 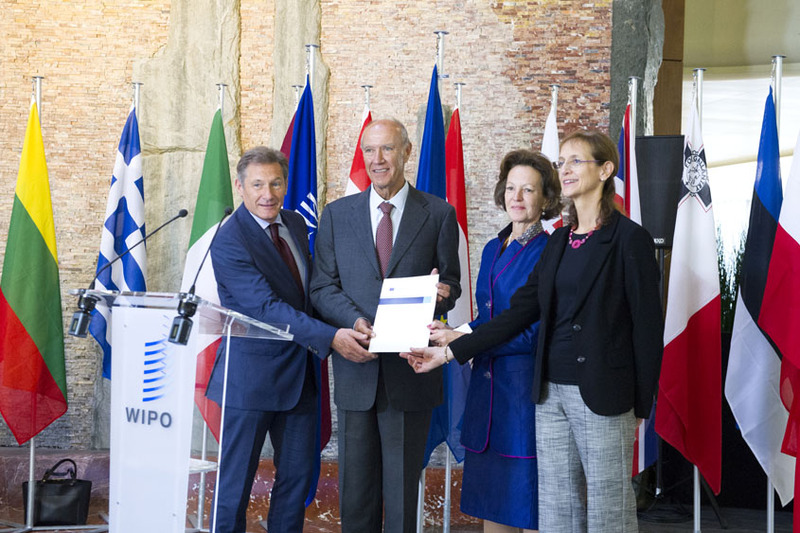 "EU Joins WIPO Marrakesh Treaty For Visually Impaired, Boosts Available Books" by Intellectual Property Watch is licensed under a Creative Commons Attribution-NonCommercial-ShareAlike 4.0 International License. Has there ever been a definitive statement or ruling that 10-15% of a Contracting Party’s overall population as Article 3 beneficiaries constitutes a certain special case? The 285 million figure offered by MP Andersson in Plenary Session, which in no way represents the number of potential Marrakesh Treaty Article 3 beneficiaries whose number can be readily shown to be in the 1 billion range, originates with the World Health Organization (WHO). While 285/300 million potential Marrakesh Treaty Article 3 beneficiary persons might constitute a “certain special cases(s)”, 1 billion potential Article 3 beneficiary persons might not.